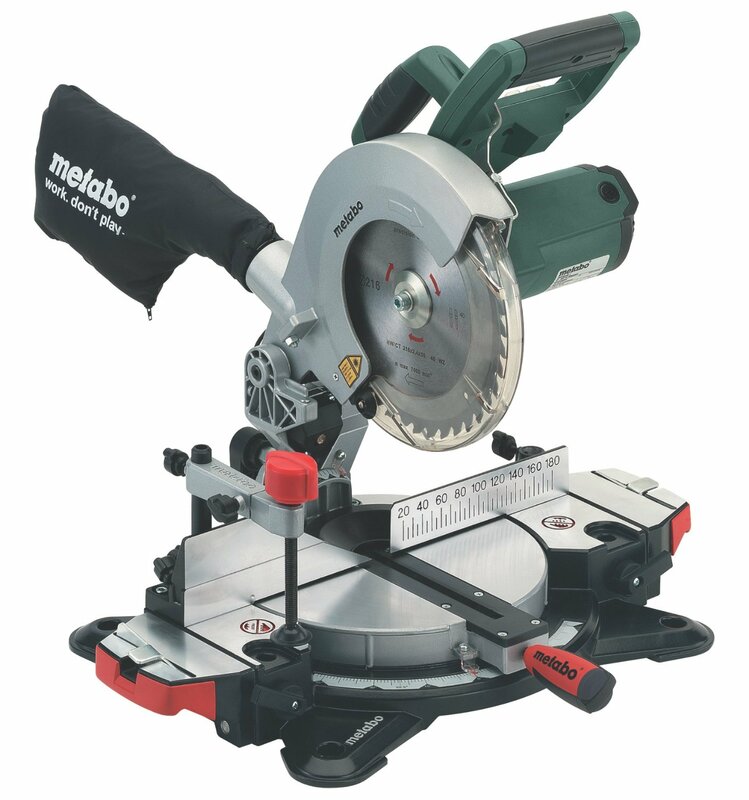 The Metabo MPTKS216 saw costs around £120 depending on where you make your final purchase. It was initially sold for around £160, so if you can pick it up at the lower price, you will have found yourself a pretty good deal for sure. There are not a lot of buyer reviews to go on with this one, but those who have bought it really love it a lot. So much so, that all buyers have given this one the full 5 star approval. In this article I will do a full review on this saw. However if you don’t have the time right now, to read a detailed review, then please click here for the best prices, and any discounts that may be available. For those who like to see more detail, then please continue to read. This is officially classed as a good all round compact and lightweight saw. It is a 216 mm saw and is a good buy for anyone who wants a good saw to be able to work on a variety of projects. Metabo are certainly well established as a brand, and they do make nice quality tools. The brand have designed this one for anyone who needs a portable mitre saw. To help with that it has a non slip rubber surface on the carrying handle. It also comes with a transport lock to make sure nothing can move around. These are important features to have when you want a portable mitre saw. That explains why this one is light in weight, and small enough to be easily transported from site to site. If you need or prefer one that can be fixed, and used in a garage or workshop, then please check out my top 10 list. 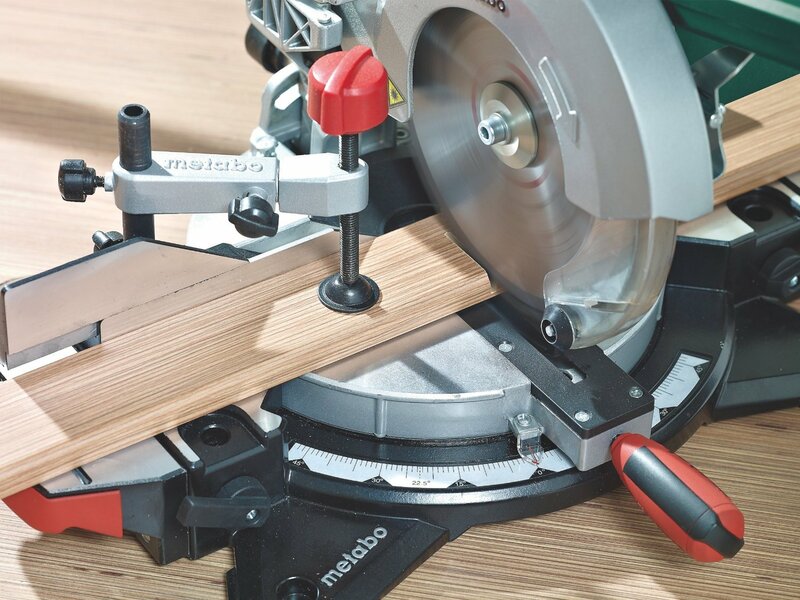 There you will find saws more suited to your needs. It sits on a die-cast aluminium work bench is powered by a 1,350 watt motor and measures 480 x 543 x 325 mm and weighs around 9 Kg. This one can handle wood, panels and plastics. Maximum cutting width 90°/45°: 120 mm x 80 mm. Maximum cutting depth 45°/90°: 60 mm x 45 mm. Maximum cross-section straight cut 90°/90°: 120 x 60 mm. Maximum cross-section double mitre 45°/45°: 80 x 45 mm. What Buyers Thought of Their Purchase? I’m a professional finish carpenter. I bought one of these as I was fed up with transporting a bigger saw and I have found that it has sufficient capacity for nearly all of my projects. The blade and laser were set up dead true out of the box and in the six months I have been using it have not gone out of true. The blade is good and the machine is light and accurate. All of the buyers commented on the accuracy of this compact saw. For the money they paid, they believe this one to be very good value for money. You can read more reviews by clicking here. Overall this is a highly rated saw. I would recommend it for people who want a good basic saw, that is easy to move around when you need to do that. Clearly anyone who has bought it loves it, so you will not go too far wrong should you decide to purchase this one. Enda McLarnon is a participant in the Amazon Services LLC Associates Program, an affiliate advertising program designed to provide a means for sites to earn advertising fees by advertising and linking to amazon.co.uk.